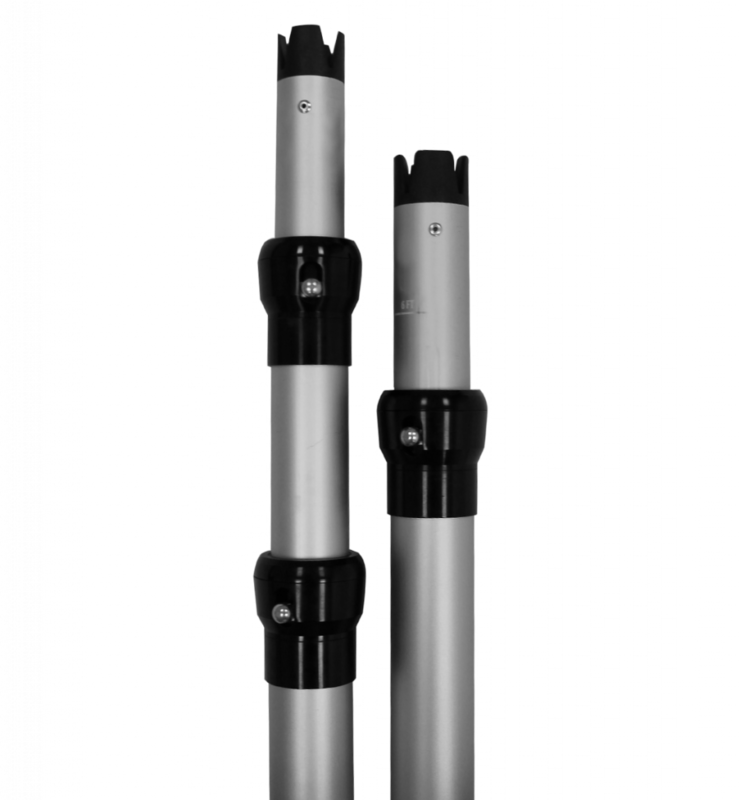 SUWANNE, GA (January 16, 2019) — Georgia Expo Manufacturing launches a new product, The Ultimate Slip Collar™ Telescoping Upright. It features a screw on collar designed for easy and cost-effective repair, extending the life of each upright. It also has a newly developed adjustment ring with larger buttons that allows for smoother high transitions and a friendlier, more intuitive adjustment design. The Ultimate Slip Collar™ will come standard with the popular CastleTop™; allowing for seamless back wall designs with “no-bump” tops and hidden uprights as well as eliminating torn slots and more natural and faster install. The Ultimate Slip Collar will be sold at a competitive price, only a few dollars more than the traditional style for a host of upgraded features. It’s more durable, and more dependable for everyday wear and tear. Georgia Expo Manufacturing will continue to carry our regular Slip Collar upright. Both styles will feature the DropStop™ which prevents the inner pipe(s) from falling through and collar-on-collar contact on the three-piece models. They will also both feature laser-etched markers at each foot and half foot height so the installer can easily see the height during installation. Georgia Expo Manufacturing showed The Ultimate Slip Collar™ prototype at the InfoComm 18’ Trade Show in Las Vegas and were overwhelmed with the positive response. Georgia Expo Manufacturing’s sales manager David Pett said, “Multiple customers loved the screw-on collar. The idea of keeping additional replacement collars in their tool box for onsite repairs without the expense of potential replacement pipe was an attractive feature.” Taking that positive feedback along with suggestions from Georgia Expo Manufacturing’s customers that use these products on a daily basis they are thrilled to introduce these to their “Ultimate” line of products, which are all designed to make the event products they produce work better for our customers’ onsite needs and ease of use. The Ultimate Slip Collar™ is now available for sale online or through our inside sales team. 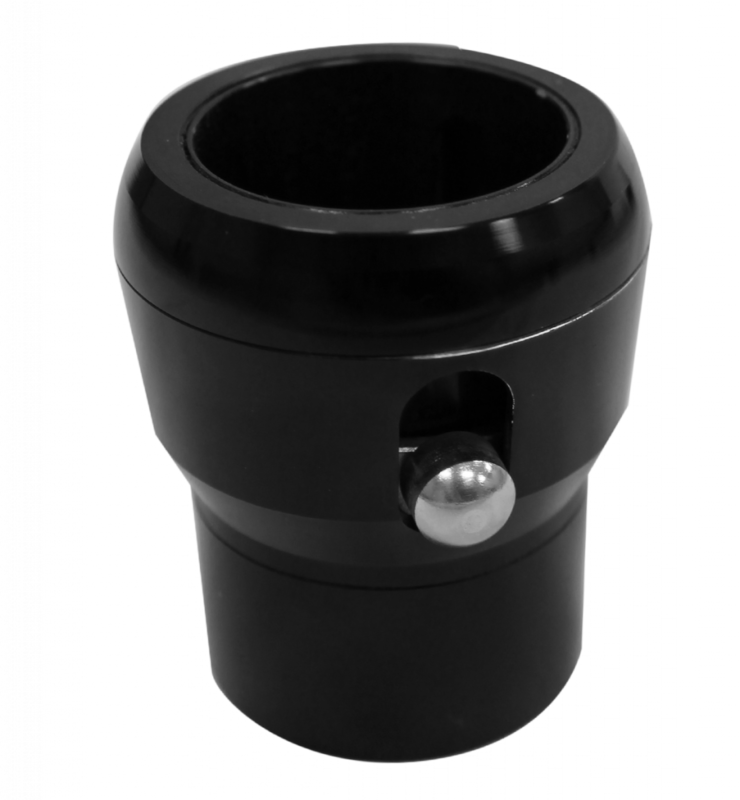 They are available in the two-piece model (sizes 3ft-18ft) and three-piece model (sizes 5’-25’) in both silver aluminum and black anodized finished.